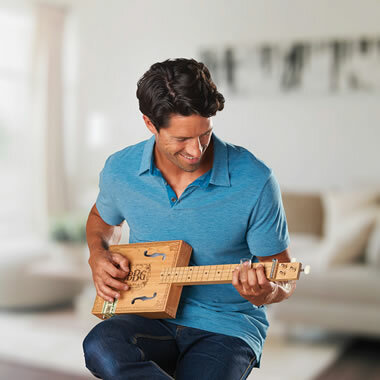 This is the kit that produces a 26"-long fretless, three-string electric slide guitar inspired by the cigar box instruments that first appeared in the mid-19th century. Assembly being part of its charm, the instrument includes three strings that tighten using modern tuning machines on the headstock, but retain classic features such as a screw used for the bridge and a bolt used for the nut. 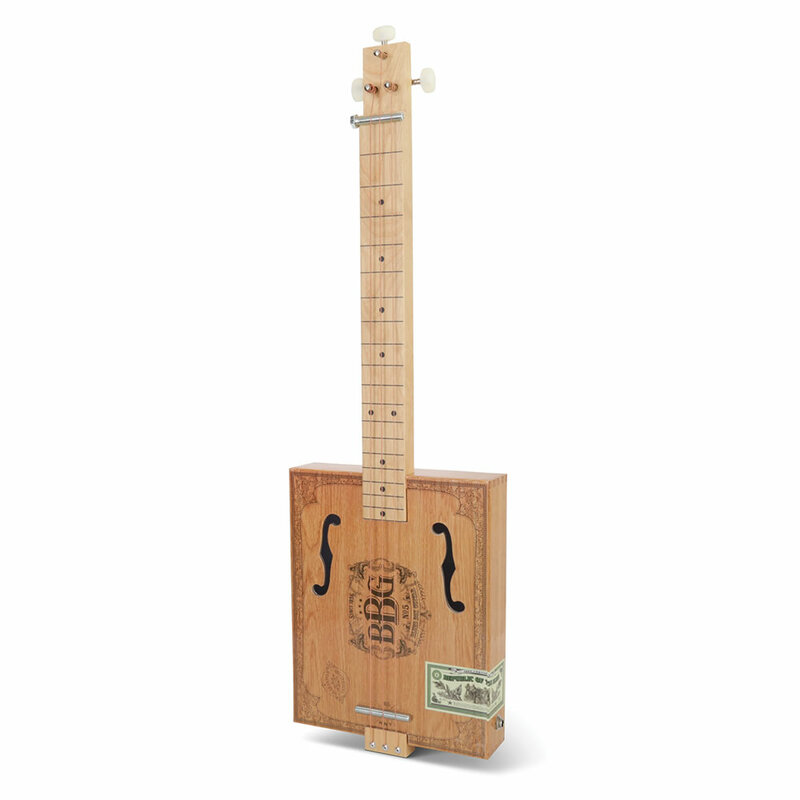 The faux cigar box houses a modern piezo pickup and mono guitar jack for plugging into one’s preferred amplifier (cable/amp required). 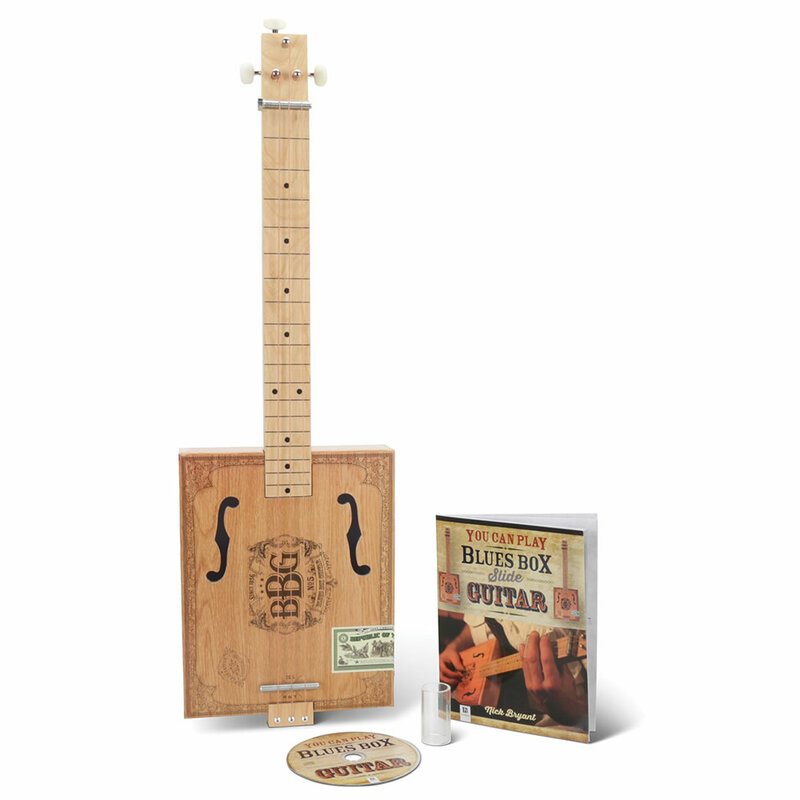 Includes instruction guide and 23-lesson CD that teaches tuning, slide techniques, and 8- and 12-bar blues riffs. 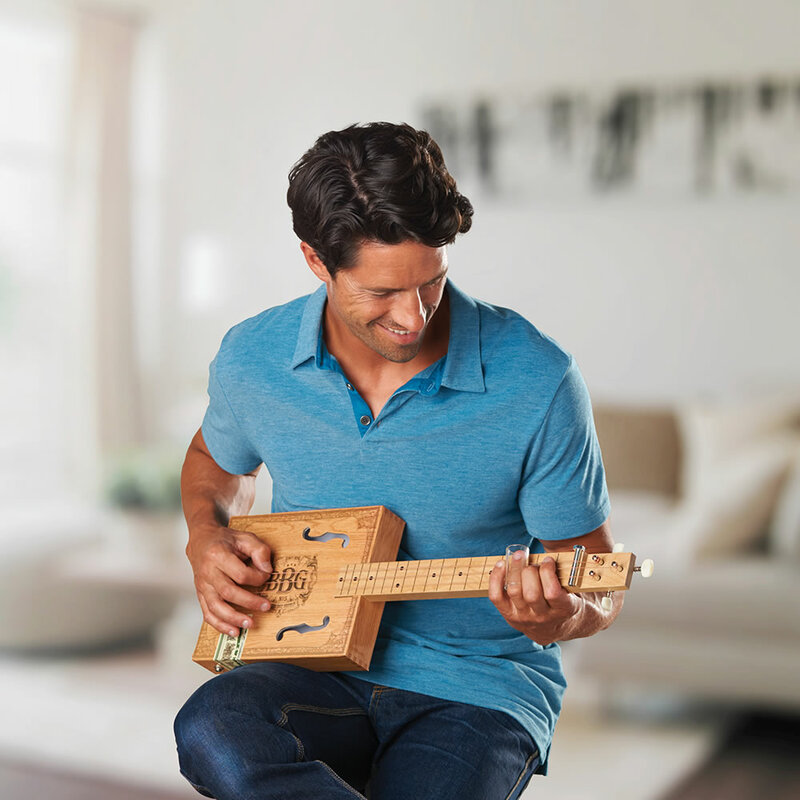 The Electric Cigar Box Slide Guitar comes with The Hammacher Schlemmer Lifetime Guarantee. Items that we sell are guaranteed for their normal life under standard non-commercial use.